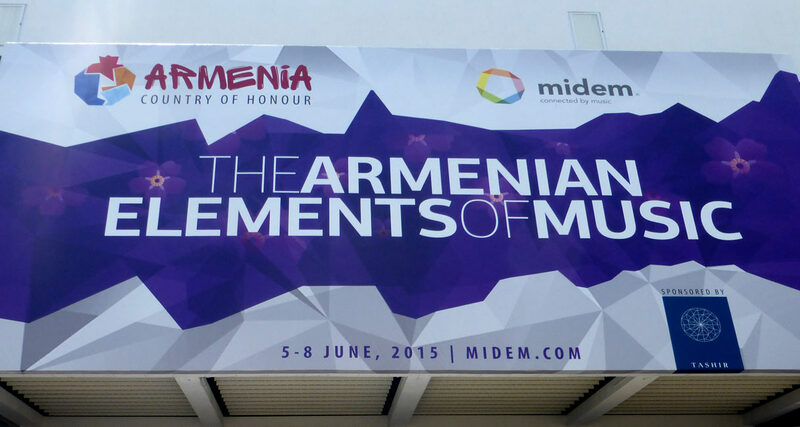 Midem 2015 higlighted Armenia as Country of Honor of its 49th edition, celebrating the Armenian Elements of Music for the Year of Armenian Culture. 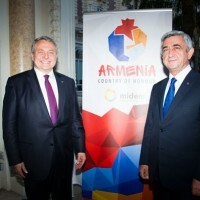 The Midem, which brought togeteher in Cannes the professionals in the music industry from around the world from 5 to 8 June 2015, was inaugurated on June 6 at the Palais des Festivals in the presence of Serzh Sargsyan, President of the Republic of Armenia, Country of Honor this year, the Mayor of Cannes David Lisnard and Paul Zilk, CEO of Reed MIDEM. 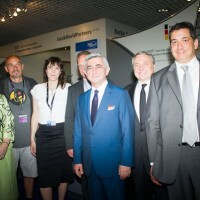 The Armenian delegation then visited the Midem stands before the visit ended on the stand of Armenia. 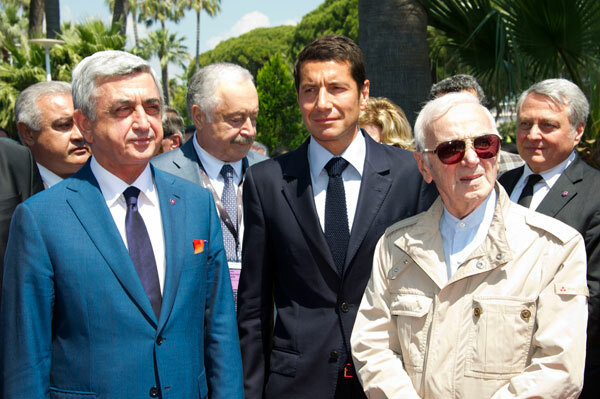 Following the inauguration ceremony, David Lisnard, accompanied by Serzh Sargsyan and Paul Zilk went to the Pointe de la Croisette for a tribute to the Armenian people at the Memorial Stele dedicated to the victims of the Armenian Genocide. They were joined by singer Charles Aznavour who arrived in the morning on the Croisette. All gathered in front of the memorial stone dedicated to the victims of the Armenian Genocide and the memory of French martyrs, veterans and resistant of Armenian origin, who died for France in 1914-1918 and 1939-1945. 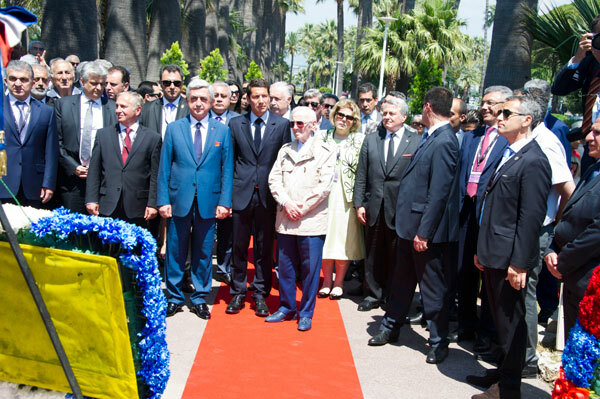 During the commemoration ceremony, Serzh Sargsyan signed the guest book of the city of Cannes. 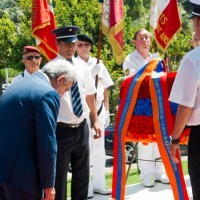 Following this moving tribute, David Lisnard and Serzh Sargsyan have layed wreaths at the memorial. 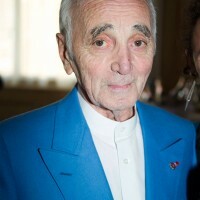 Charles Aznavour, engaged and militant artist, was elected National Hero for the Armenian cause. 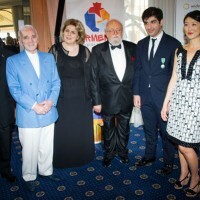 Small in size but great by his talent, his songs are known worldwide and despite his age, he wanted to be present to honor Armenia, his country of origin. Facing the 1915 genocide – which his parents have survived – the singer is constantly remembering that all people with Armenian roots need recognition and that Turkey must admit its share of responsibility in this drama which has claimed thousands of innocent civilian victims including women and children. By early evening, another ceremony awaited the legendary French singer Charles Aznavour in the salons of the Carlton Hotel. 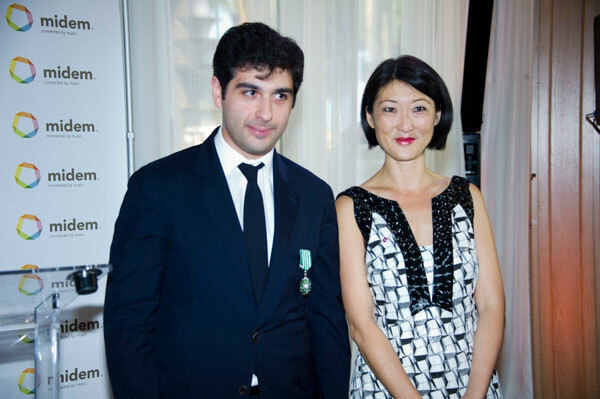 The French Minister of Culture, Fleur Pellerin, presented the 27-year old Armenian conductor Sergey Smbatyan with the insignia of Knight in the Order of Arts and Letters. He was surrounded by the producer Alain Terzian and the film director from Marseilles, Robert Guedignan. 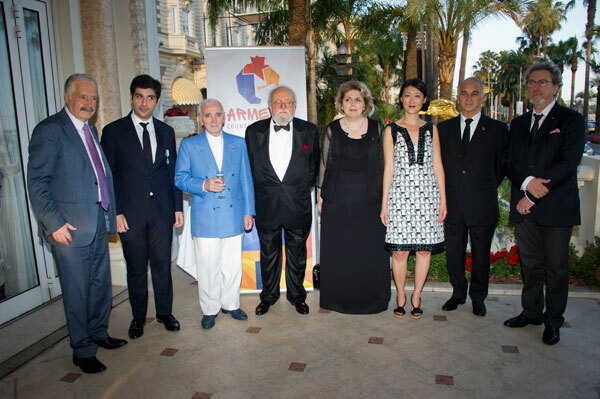 Then, all went to the Gala dinner hosted by Armenia, presided by the President of Armenia, Serzh Sargsyan. 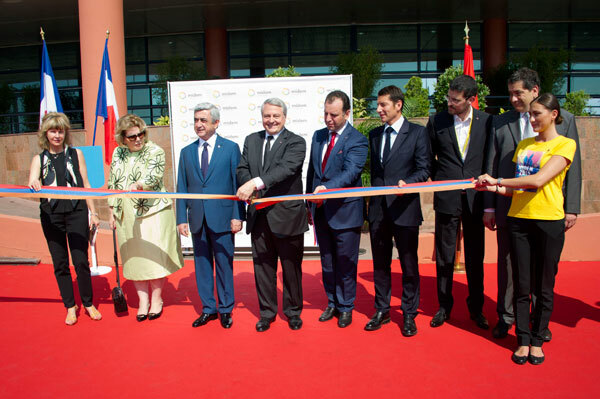 The Minister of Culture had graced the Midem and in addition to the medals ceremony, she had come to support the distribution of French creations abroad. She also announced the creation within her ministry of a Médiateur de la Musique (Music Ombudsman) as the one that exists for cinema or litterature. She also announced the increase in the Ministry allocation to the Export Bureau, currently set at 740,000 euros.